1. 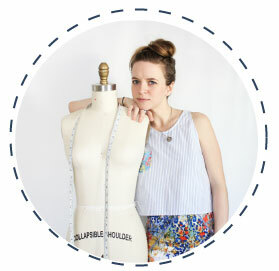 Labels by Kylie and the Machine are such a fun addition to any handmade garment. 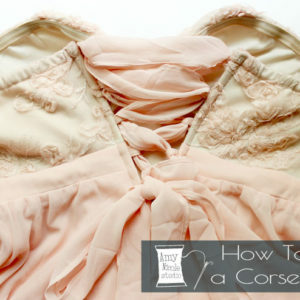 She has a great variety to choose from and each one will put a smile on your face every time you reach for that handmade garment in your wardrobe. 3. In the start of the new year every sewist will be busy planning their makes for 2019. 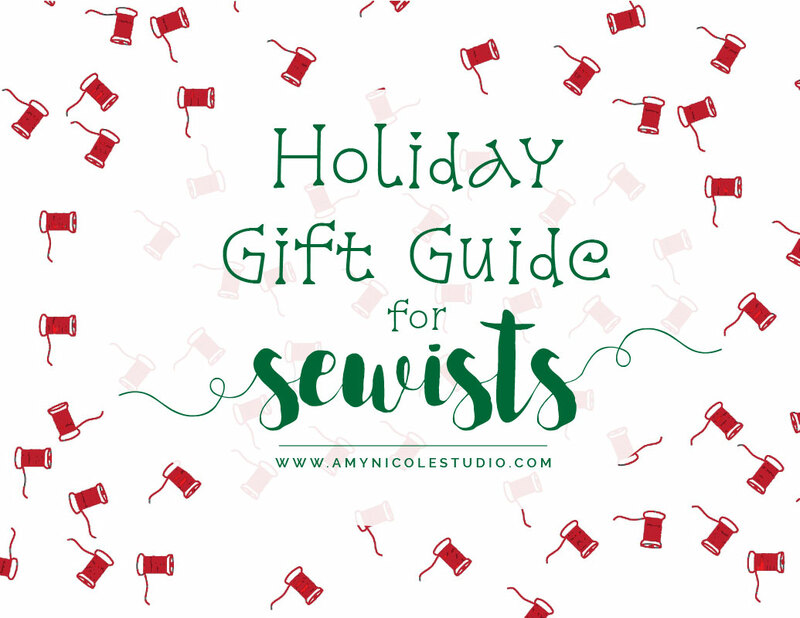 Why not gift your sewing bestie something that will keep all that planning organized and streamlined? This Sewing Planner by Colette is a useful gift for any sewist in your life. 4. 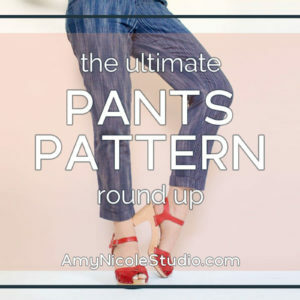 Number one on every sewists list this year is most likely the Breaking the Pattern book from Named Clothing (I know it is on mine!) 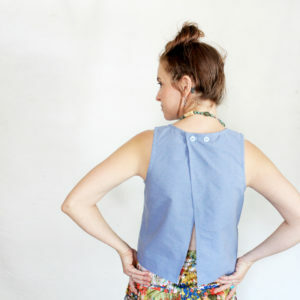 This beautiful book includes a variety of patterns as well as hacks and variations for endless drafting possibilities. 5. Nita Hilel Design creates these beautifully unique needle necklaces that are such a sweet and subtle nod to your favorite past time. Ps – they come in rings too! 6. 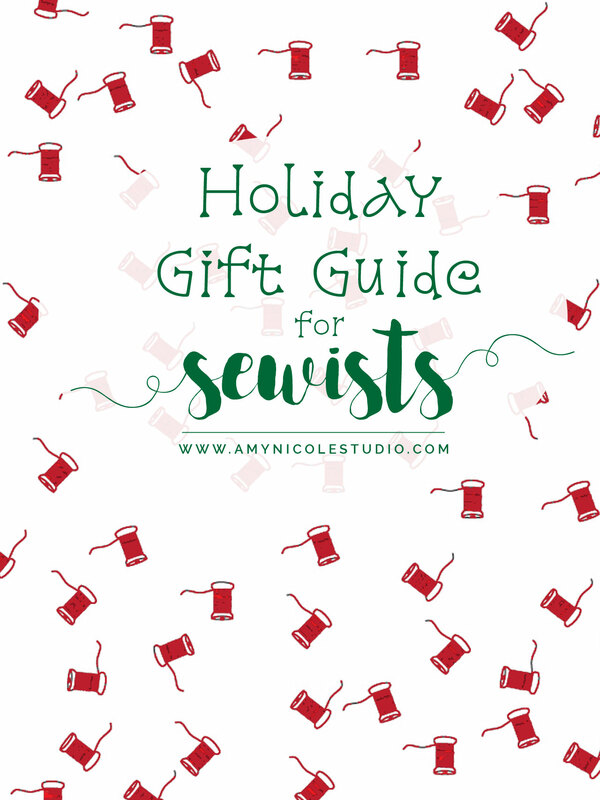 I can’t make a sewing gift guide without of course a shameless plug for my own fun sewing themed graphic tees, mugs, and totes! The hand lettering is done by my very talented cousin Katy Reese Designs. And each one is printed to order – which means order deadlines for delivery by December 21st is coming up soon! See the chart(s) below to check your deadline date. Yours already past? Ship directly to your recipient and print out a pic to give them in the mean time! And there you have it! I hope I gave you (or your loved one!) 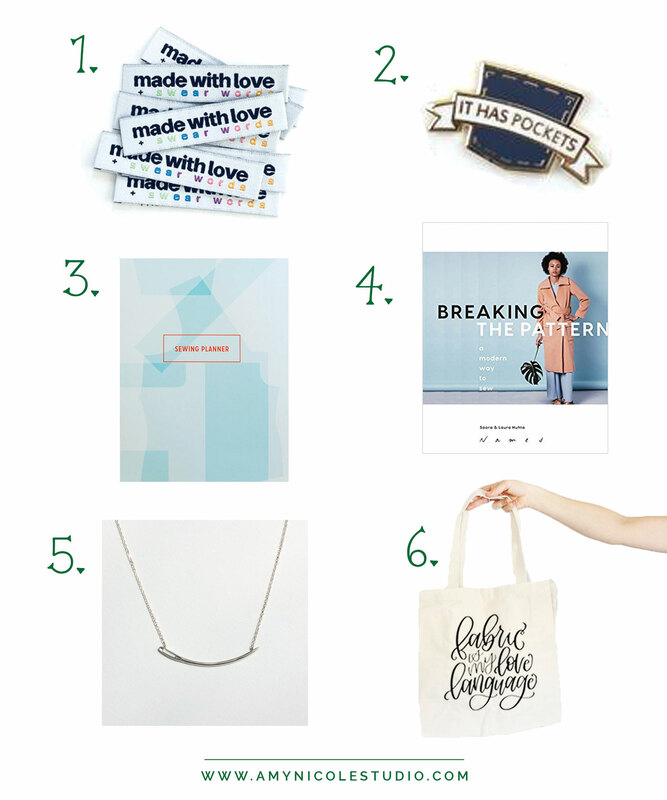 some great gift ideas for any sewist in your life. I am going to be taking things pretty slow around hear until the new year (have you noticed?) But I’ll still be posting on instagram fairly regularly so follow along with me there! I’m wishing everyone a happy holiday – however you celebrate! 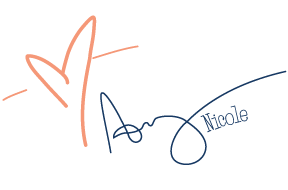 PS – You’ll want to be subscribed to my YOUTUBE CHANNEL so you dont miss a very special Vlog coming in January all about my sewing plans & goals for 2019!